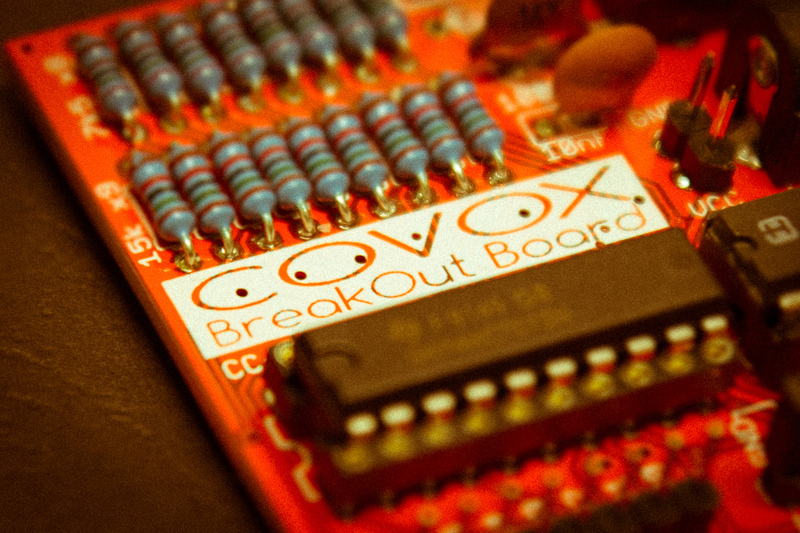 That’s what happens when you’re drinking a few beers and being in a nostalgic mood: Already over a year ago I had designed a generic Covox Breakout Board (Wikipedia link) based on an old well established design. 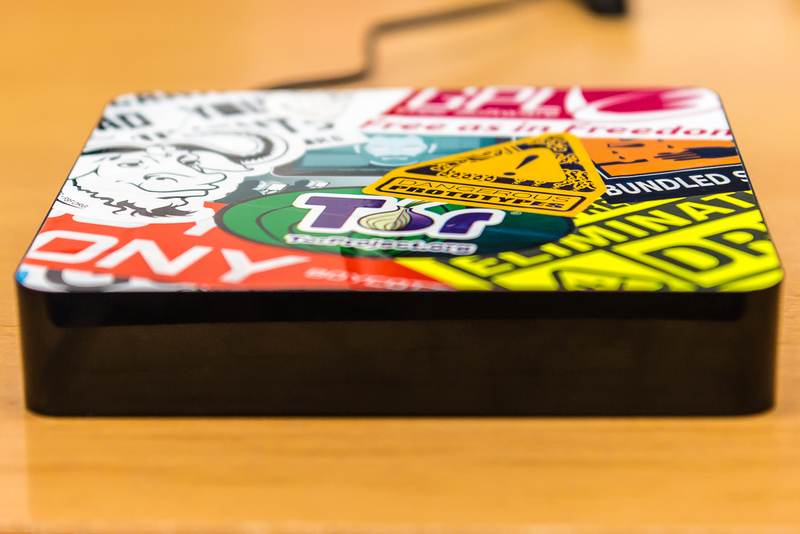 The whole design is based on two TTL ICs (74HCT373 and 74HCT164) and an R-2R resistor ladder (7.5k and 15k Ohm). The result is a simple DAC with 8 bit parallel and serial input and a few control pins. 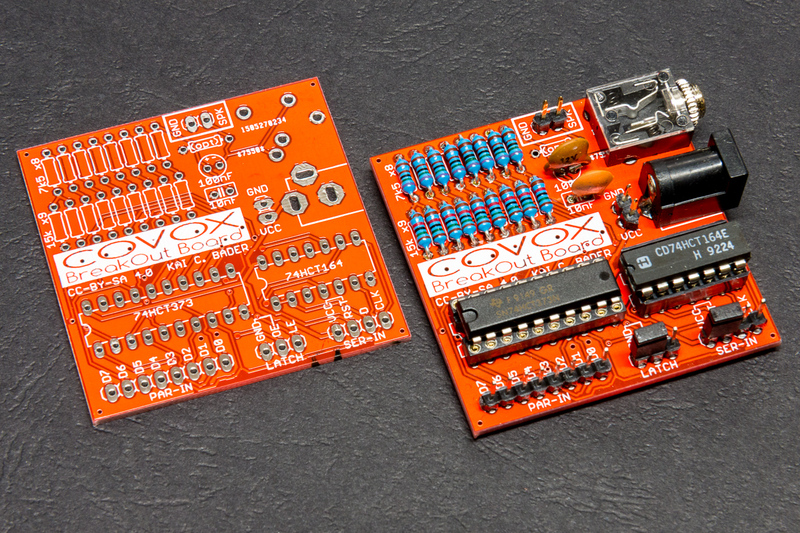 I’ve uploaded the PCB (back then I still used Eagle Cad) and the Gerber files to my Github Covox Repository.